On Saturday, PadMan saw an upward trend in its collection as it minted Rs 13.68 crore. R Balki's film PadMan starring Akshay Kumar, Radhika Apte and Sonam Kapoor talks about one thing that most Indians are reluctant to talk about but needs to be discussed more often - menstruation and menstrual hygiene. The movie is inspired by the real life story of Arunachalam Muruganantham, who is revolutionising low-cost sanitary napkins in rural India. PadMan started its journey on Friday on a decent note after it earned Rs 10.26 crore. On Saturday, PadMan saw an upward trend in its collection as it minted Rs 13.68 crore. 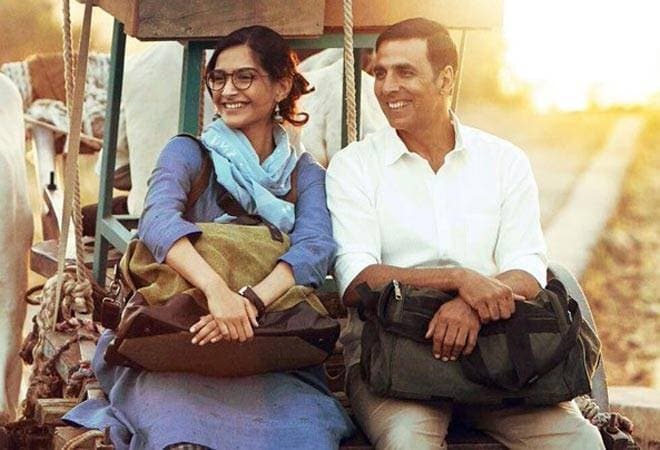 PadMan's collection till Saturday stands at Rs 23.94 crore. Film critic and trade analyst Taran Adarsh took to Twitter to report PadMan's earning. #PadMan makes RAPID STRIDES on Sat... Picks up SPEED... Biz should be STRONG on Sun too... HEALTHY weekend is on the cards... Fri 10.26 cr, Sat 13.68 cr. Total: â‚¹ 23.94 cr. India biz. PadMan has received mixed reviews from critics and audiences. While the theme of the movie is laudable, the movie could have been handled in a more nuanced manner, many critics mention. Nevertheless, PadMan has got people talking about periods and sanitary napkins all over social media. Akshay Kumar's character Laxmikant is based on Arunachalam Muruganantham, a Coimbatore native who invented a low-cost sanitary napkin producing machine. His main motive was to make sanitary napkins at affordable prices. He even received the Padma Shri along with several other accolades for his unprecedented work. Ahead of the release of PadMan, Twinkle Sharma's initiative #PadManChallenge took social media by storm. She posted a picture holding a sanitary pad and tweeted,"Yes, that's a pad in my hand and there's nothing to be ashamed about. It's natural! Period. #PadManChallenge. Copy, paste this and challenge your friends to take a photo with a pad! Here I am challenging Aamir Khan, Shabana Azmi, Harsh Goenka." Soon, social media was flooded with photographs of Bollywood celebrities as well as sports stars taking up the challenge. PadMan was initially scheduled to be released on Republic Day weekend, clashing with Sanjay Leela Bhansali's Padmaavat and Neeraj Pandey's Aiyaary. However, on Bhansali's request Akshay Kumar postponed PadMan to give Padmaavat solo release over the weekend. Aiyaary makers too postponed its release.